Englishwoman Mary McAuley first arrived in Leningrad in the early 1960s, eager to study labor relations for her thesis. Staying at a hostel, she met a number of Soviet students, many born under the rule of Joseph Stalin. Over the half-century that followed, McAuley traced their varying paths and the changing face of the former imperial capital. 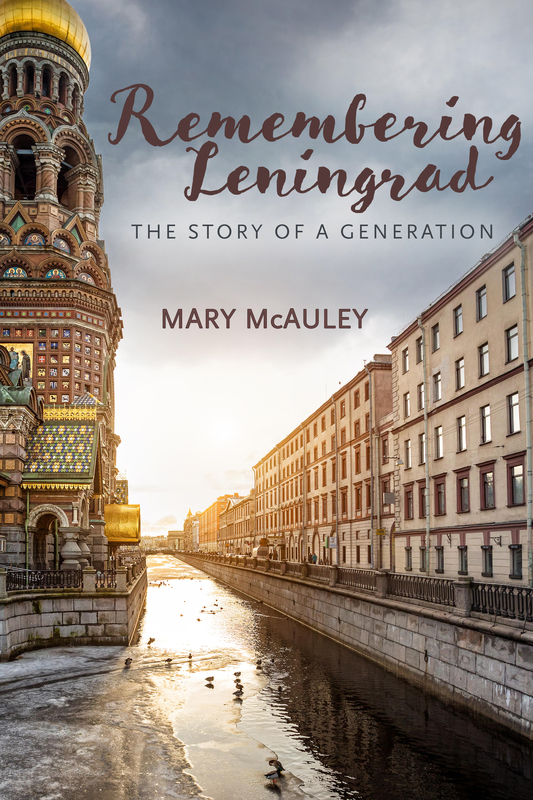 Remembering Leningrad captures the story of a beautiful city and lifelong friendships. We follow McAuley as she walks through the streets downtown and examines politics in the 1960s, describes the hazards of furnishing an apartment in the 1990s, and learns about the challenges her friends have faced during these turbulent years. By weaving history and anecdotes to create a picture of Russia’s cultural center, McAuley underscores the impact of time and place on the Russian intelligentsia who lived through the transition from Soviet to post-Soviet life. The result is a remarkable group portrait of a generation. Mary McAuley is the author of Soviet Politics 1917-1991, Human Rights in Russia: Citizens and the State from Perestroika to Putin and Children in Custody: Anglo-Russian Perspectives.